We think Anglesey is a magical and fascinating place. If you know where to look. That’s why we’ve created the following short story for your little ones, to capture their imagination and reveal all about Anglesey and Silver Bay’s mythical past. 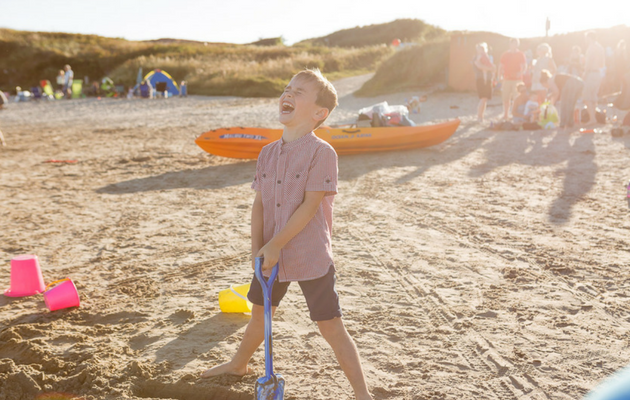 There will be tales of dragons, princesses, and magical animals – all of which are designed to encourage Silver Bay’s children to get outside and enjoy the great outdoors. This will be the first chapter. So if you want to inspire your Busy Bayer’s this year, then we suggest you practice your best bedtime-reading voice and dig in to our first instalment below. This isn’t any old story. Because this story isn’t about any old frog or belly-croaking creature that hides in your garden pond. It’s about a magical toad. 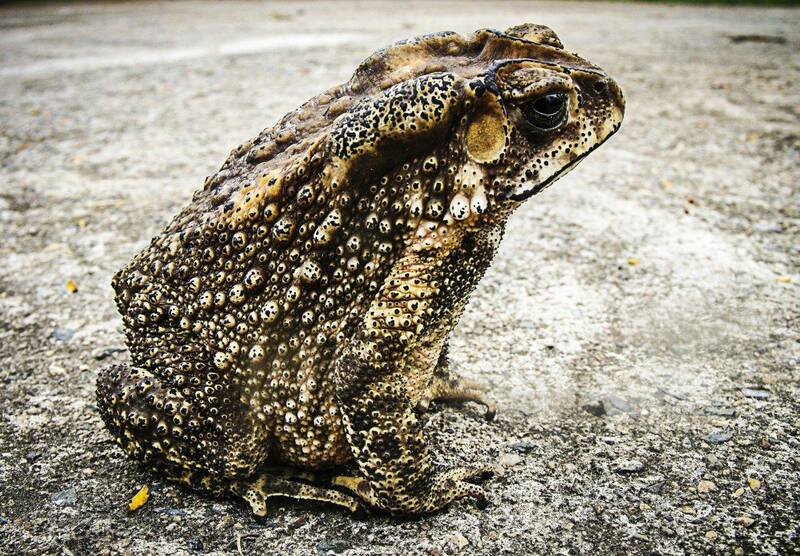 Now, if you have ever seen a magical toad, then you will already know how frightful these creatures can be. They have dark, scaley skin and are covered with slime – and they like to creep around in the deep waters of very old castles. The residents of Silver Bay haven’t seen a magical toad for many years now. But in the olden days, Aberlleiniog Castle and the king’s guard within received a visitation from Broga – the biggest and hungriest toad to roam Anglesey’s underbelly. The soldiers were stunned and didn’t waste a moment thinking about Broga’s outrageous request. Together, they shouted back to the evil toad, “You are old and you have lost your precious magic, Broga of Anglesey. Our walls are 100 feet high and 50 feet thick. You will never reach the king’s guard”. The soldiers were defiant. They would never allow the king’s favourite castle to fall into the hands of Anglesey’s greediest toad. But before the soldiers could gather their swords, Broga leapt into action and flung his blubbery body into the deep, dark moat that surrounded Aberlleiniog. A huge wave of dirty green water crashed against the castle walls, leaving the king’s men with slimy equipment and soggy boots. Then Broga had his revenge. For days, weeks, and even months, every soldier who tried to leave Aberlleiniog Castle met the relentless wrath of Anglesey’s most hated toad. Broga would wait until each soldier attempted to leave the castle, and he would use his long, sticky tongue to grab each man and pull them to the depths of his smelly waterhome. No one ever returned. And with each greedy mouthful, Broga grew bigger and more powerful by the day. The King soon learned of these terrible events and sent his men to vanquish the greedy toad. Very quickly, it became apparent that no man was good enough to destroy Broga. He would always gobble them up and spit out their strong armour, even if the toad was so full that his stomach ached and grumbled in pain. For many days and nights, it seemed like nothing could draw Broga from the deep, aquatic depths of Aberlleiniog Castle. But one day, something different happened. Under the cover of night, one of the king’s biggest and bravest soldiers – Sir Gregory – disguised himself as the creature magical toads feared the most: the famous Welsh dragon. Sir Gregory was inventive. He created a suit of shining red armour and fashioned a long, sharp tale with beautiful golden threads from the king’s living quarters. His helmet was adorned with skin-piercing horns and he made himself razor sharp claws from the body of a giant grizzly bear. But to really look like a dragon, Sir Gregory needed one last thing. Under the deep water depths of Aberlleiniog, Broga saw the castle’s door begin to open and he got ready to launch his long, gooey tongue and grab whoever came out. But when Sir Gregory emerged from the door, carrying toad-toasting fire and smashing his golden tale against the drawbridge, Broga felt a cold chill tingle down his spine. “AIEEEEEEEEEEEEEEEEEEE”, squealed Broga – who turned a hideous purple at the sight of Sir Gregory’s shining scales and flesh-guzzling claws. “You never told me you had a fire-breathing dragon, you treacherous tiny men!”, cried the helpless old toad. But Broga was never heard of again. Nowadays, it’s harder to find magical toads around Aberlleiniog Castle. But there is one legend that remains: as the locals say, if you run around the castle’s moat at midnight three times – then Droga will leap from the forest and demand that you visit his slimy underwater kingdom. However, if you really want to experience Anglesey’s magical past, then we suggest you visit the magical sites of Aberlleiniog Castle and beyond. Each one has a gruesome and fantastical story to tell.